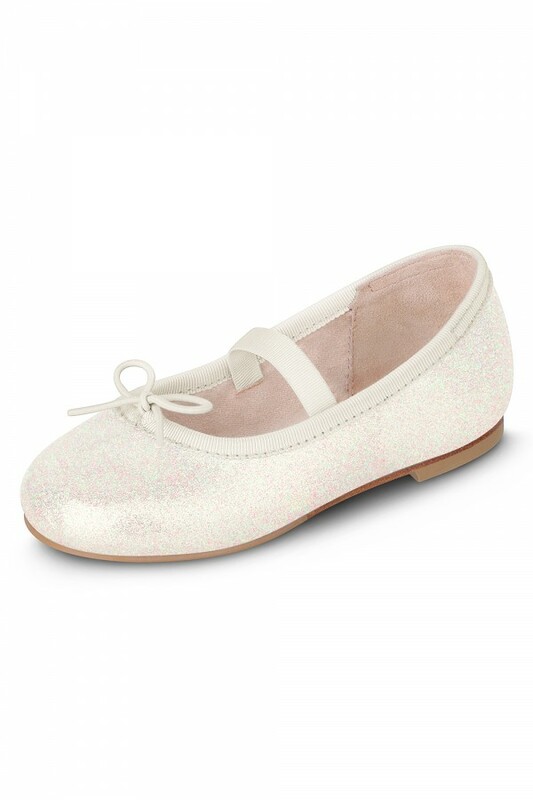 Add a touch of glitter to any outfit with this adorable ballet flat. Perfect for your toddler to wear at special occasions. Features adjustable vamp bow and elasticized strap across the instep to ensure the shoe stays put. Luxurious soft faux suede lining and our iconic padded teardrop at the heel offers superior comfort. 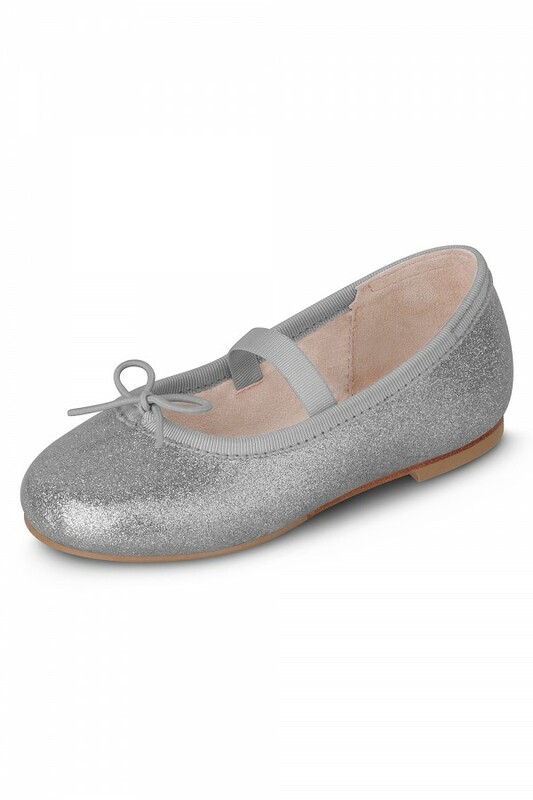 Non-slip rubber inserts on the outsole, make this shoe ideal for little ones learning to walk.